①The largest size of D-120 & D-240：Eye and both sides of nose,for wrinkles oil tablets and blackhead. ②The middle size of D-120 & D-240：For scars,find lines imperfections. 1. Made of high-grade material, which is non-toxic, safe, durable and eco-friendly. 2. Suitable for removing skin debris, imperfections, blemishes, wrinkles and unwanted pigmentation on the skin. 3. 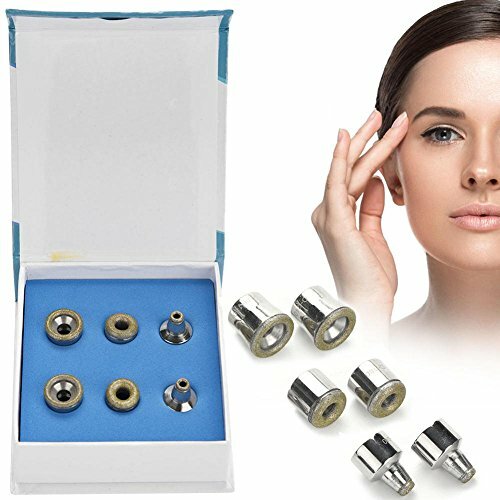 Suitable for diamond dermabrasion, penetrating through top skin layer together with the skin care product, helping to replenish natural nutrients, to restore cell activity, and to promote skin health. 4. Does not cause the phenomenon of uneven skin, bleeding, swelling and blood stasis. 6. Different size tips offer different functions and suitable for different areas or different skin. 1. The larger the diameter is, the finer the grit. 2. Clean diamond tips with alcohol, then sterillize them with UV light or high temperature. COMMITTED TO CREATING A SAFE OPERATION: It suitable for different kinds of the skins, also sensitive skin.And plays role in the dermis, making skin activation, repair and regeneration. Does not cause the phenomenon of uneven skin, bleeding, swelling and blood stasis, and does not affect the normal work and life. Reward your skin from now on! Biomaze Microdermabrasion Balm to Milk Cleanser, 3oz. For smooth and clear skin. With Tahitian Gardenia/Tiare. NEW.